A while back we talked about how to pick the right kitchen cabinets. One of the last steps in that process is adding the hardware to your kitchen ensemble. 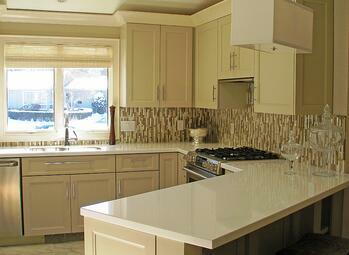 Choosing hardware for your kitchen cabinetry is like adding the finishing touches to a custom tailored outfit. You may not be showcasing your new kitchen on the red carpet, but it still has to look great on every occasion. What good is that strapless Dior without the Harry Winston earrings? None! And your stunning new custom cabinets deserve the same attention to detail. Accessorizing your kitchen is easy if you follow these simple steps. Contemporary with Contemporary – Traditional with Traditional – Would you wear a vintage suit with a Jerry Garcia necktie? Probably not. So why would you put antique glass knobs on a sleek contemporary cabinet? Choose hardware that complements your cabinets. Finish Here, Finish There, Finishes Everywhere! – The hardware you choose does not have to match the finishes on all of the other fixtures in your kitchen. But it should not clash with them either. If you are going stainless on appliances and brushed chrome on lighting and plumbing, think about a brushed finish for your hardware or something simple that can make a subtle statement. Color Me Colorful – Colored cabinets make a bold statement all by themselves. You don’t have to get crazy with the hardware in a brightly colored kitchen. White cabinets are another story entirely. They provide a clean palette on which any color or finish looks great. So try on a few different styles and see what fits best. Wood You? 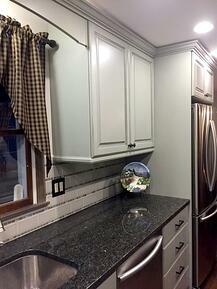 – Would you add colored knobs to wood finished cabinets? Why not? The rich tone of oak, cherry or maple cabinetry provides a beautiful background for virtually any hardware. A popular choice is pewter, bronze, chrome, nickel or some other variation of hard metal or even stone. But color adds a unique finish on an old favorite. How are they Hangin’? 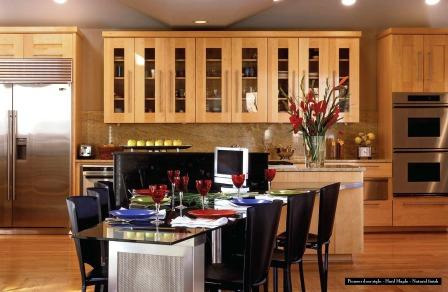 – The doors that is… Custom cabinets are often designed with custom overlays and interior hinges. But if your doors are hung with exposed hinges, make sure that the hinges match the pulls and other hardware. 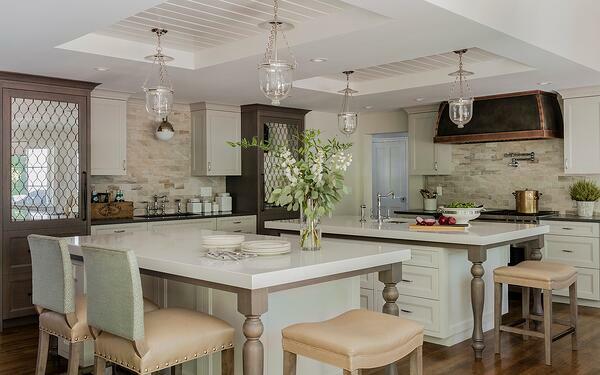 Eclectic is okay when mixing lighting and appliances, but too much variety is overkill. Shopping for hardware should be as fun as shopping for a fine piece of jewelry. You will have to visit several jewelers and look at different cuts, shapes and styles of precious gems. And yes, you may even have to try a few on for size. But when you find that one, you know the one; the one that catches the light just right and looks amazing with the rest of your ensemble, you will have found the perfect fit! STEP 1. PLAN! – It’s a nasty four letter word, but having a plan is the key to successful kitchen design budgeting. The average mid-scale remodel costs homeowners about $50,000. 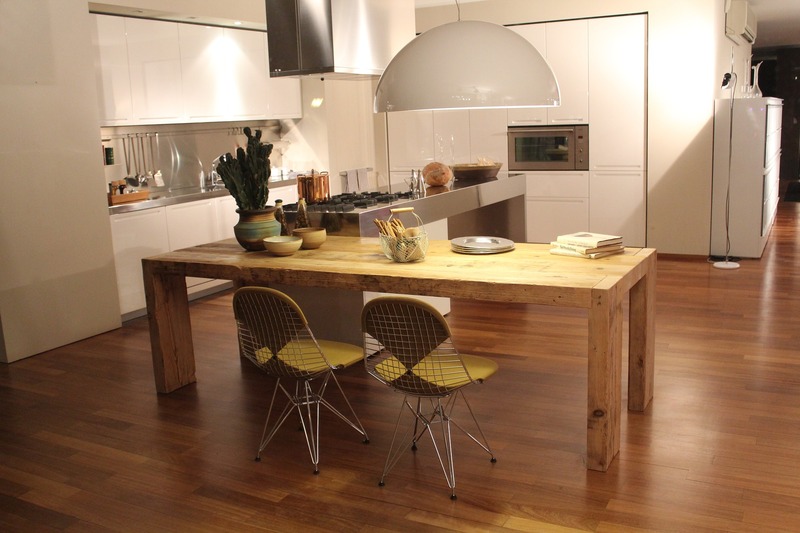 In general, kitchen design budgets can range from $5,000 to $105,000. Unless you have an unlimited supply of funds, you probably don’t want to risk falling willy-nilly in between those numbers. A good rule of thumb is to spend anywhere from 5% to 15% of the value of your home on your kitchen remodel. Check out the average home price in your neighborhood and then determine where your home falls on that spectrum. You don’t want to under-spend, but you don’t want to make your house the "Taj Mahal of Trailer Park Terrace" either. Keep your design reasonable enough to match comparable real estate values in your area and realistic enough to meet your kitchen design needs. Also, think about how long you plan on staying in your home. This will help you determine if your remodel will be more of a financial investment or an emotional one. STEP 2. Plan for the Expected – Every item you put into your kitchen will come at a cost. You will even have to spend money to have items removed from your kitchen. Knowing what you will have to pay for, and what you want to pay for, will help you get your numbers in order. Start by setting a priority list of must-haves. You must have a designer, you must have a contractor, you must have good insurance if you plan on doing the renovation yourself. These figures are for mid-range kitchen remodels. 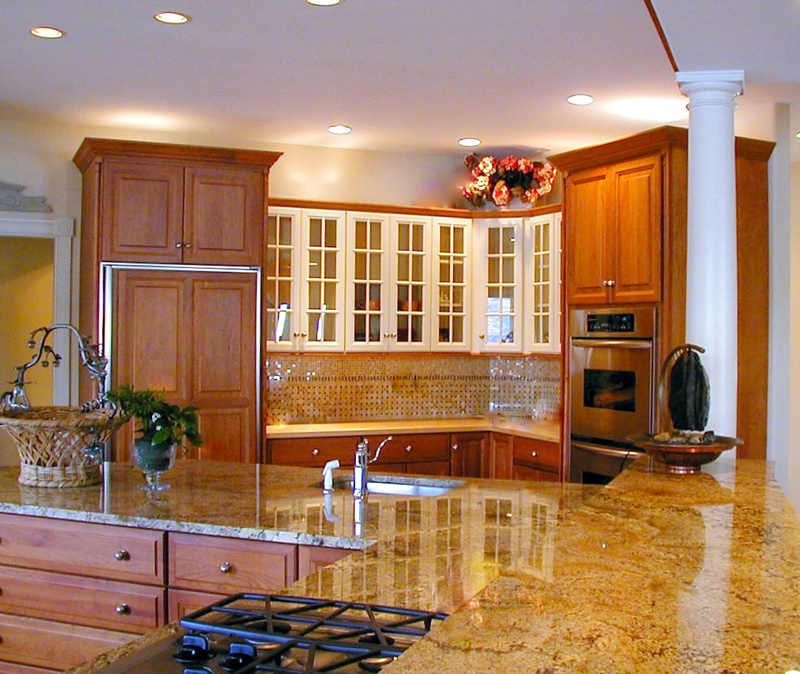 Higher end remodels will usually allocate more money for appliances and fixtures. These target percentages include labor. If you plan on remodeling yourself, you can probably tweak these to reflect lower labor costs. 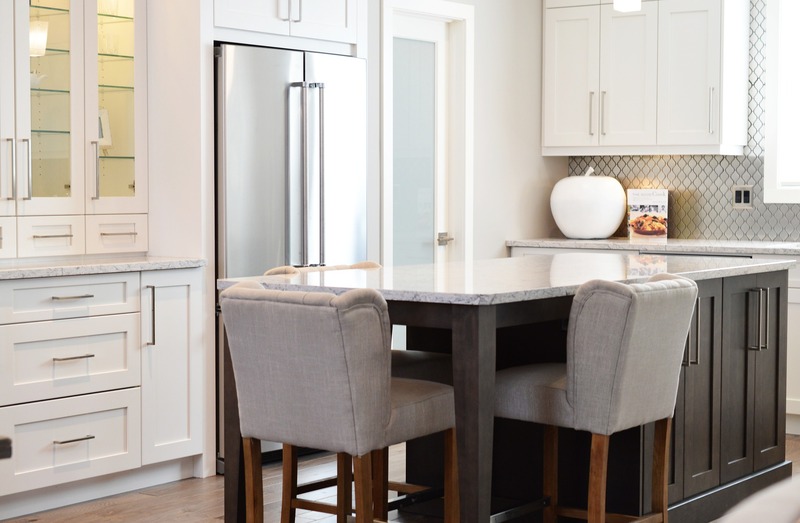 If you are having trouble with this initial phase of the budget, contact one of our kitchen design specialists for a FREE Kitchen Design Consultation. STEP 3. Plan for the Unexpected – Rarely does a remodel go perfectly. No one ever knows what lurks behind wallboard, under flooring and in pipes. If the kitchen design needs to change, so does the budget. Always allow an additional 10% for contingencies. 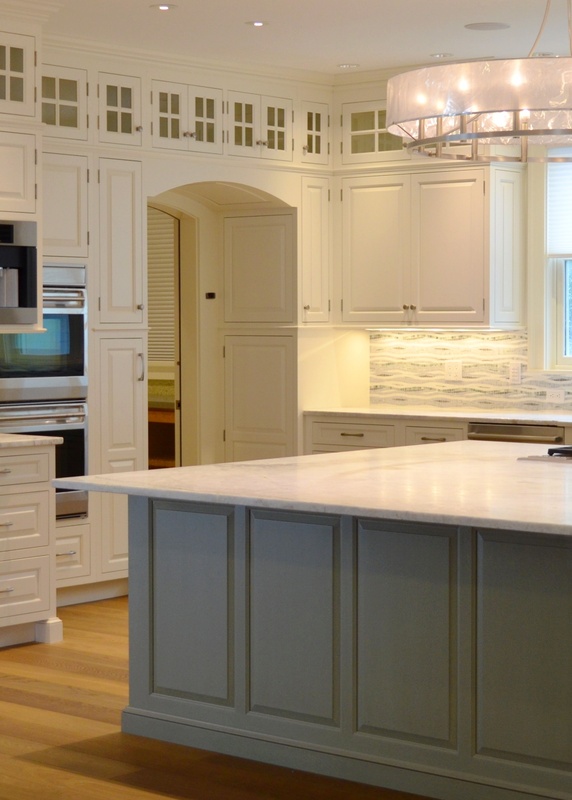 Many homeowners forget the inconvenience of a kitchen remodel. Unless your kitchen is being made over between lunch and dinner, chances are you will have to allow for outside meals. If the remodel is extensive and you can’t even think about rooming with your parents or in-laws, hotel costs might have to be included in your budget as well. ob or pay for it out of your savings. 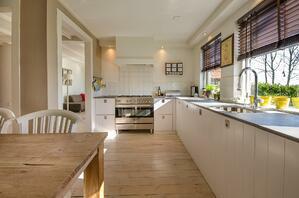 Home equity loans, personal loans and even credit cards are all viable options for funding your kitchen remodel. However, they all have fees associated with them. Be sure to account for these fees in your budget in order to get a realistic idea of what your new kitchen will ultimately cost. STEP 5 Plan to Stay on Track – Preparing your budget is just the beginning. Once the project gets underway, you must track every penny you spend. Well, maybe not every penny, but at least every $100 or so. Homeowners often get so wrapped up in seeing their kitchen dream come to fruition that they forget to look at how quickly their money is disappearing. Before they know it, they are over-budget. Stay on track with your kitchen design budget. Set a schedule to review your expenses every few days or once a week. Get receipts for everything and keep a file dedicated solely to your dream kitchen. It’s a lot easier to stop a slow leak than to have to repair a burst pipe. As the saying goes, "Proper Prior Planning Prevents Poor Performance". Get the dirty work of budgeting done before you get down and dirty with your kitchen remodel. 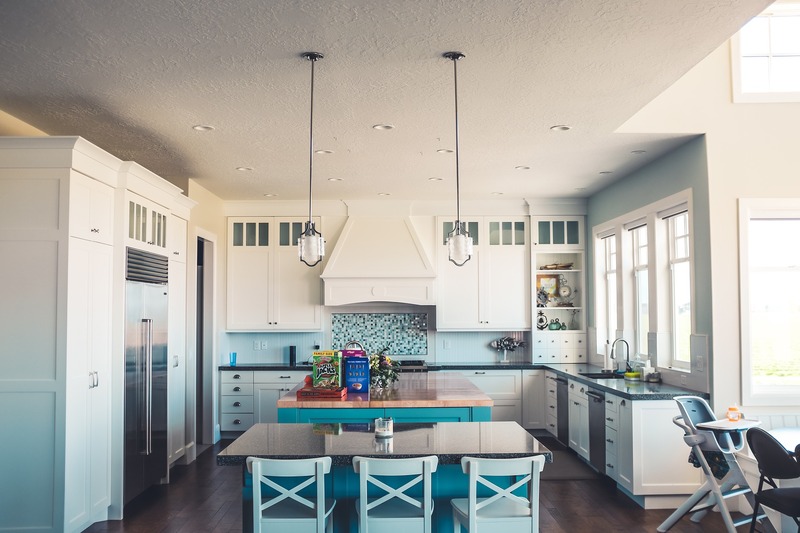 It may take a little time, but budgeting properly will prevent your kitchen project from becoming a nightmare of a money pit and keep your dream kitchen on financial track to a rewarding reality. 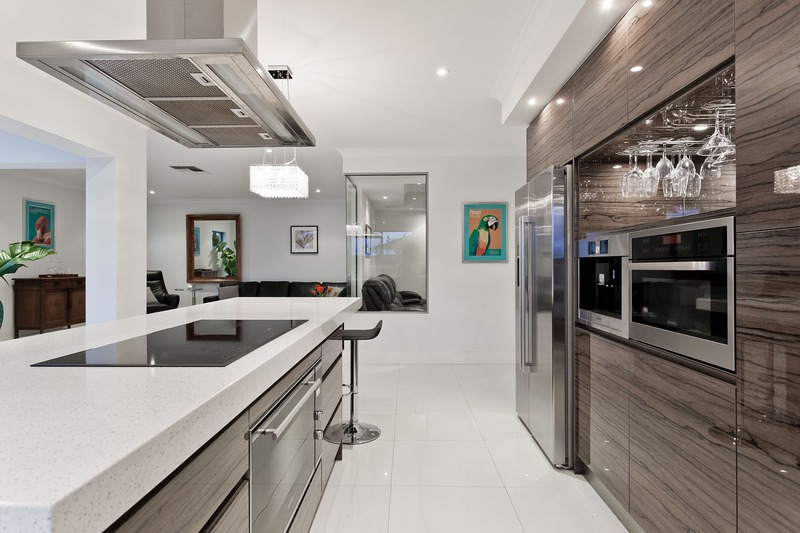 Selecting The Right Kitchen Cabinets: Dressed to Kill! 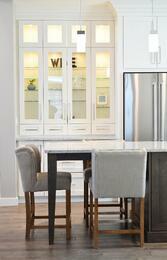 "Selecting kitchen cabinetry is like putting together a special outfit. To get the perfect look, you need to shop within your budget, find appropriate and comfortable clothing, and add just the right finishing touches." The first step in creating the perfect kitchen cabinet design ensemble is to make sure that it fits your budget. Do you have a personal tailor and only shop at Nordstrom’s? If so, you may want to purchase custom cabinets. These will be the priciest, but will fit perfectly and also be made of the highest quality materials and will have enough design flexibility to make sure they suit your kitchen perfectly. If you buy your clothes off the rack, you may be more of a stock cabinetry person. Stock cabinets are available in standard sizes and the most popular finishes. They are great options for do-it-yourself remodels or easy kitchen make-overs. 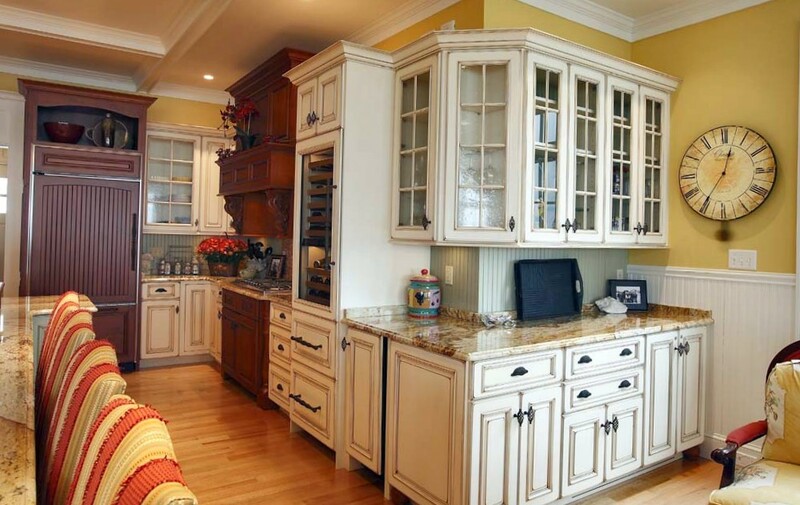 If you fall somewhere in between, semi-custom cabinets may be for you. These mid-level priced cabinets will be easy on the budget but will still allow some flexibility in style and size. After you figure out where you’ll shop, put together the outer layer. 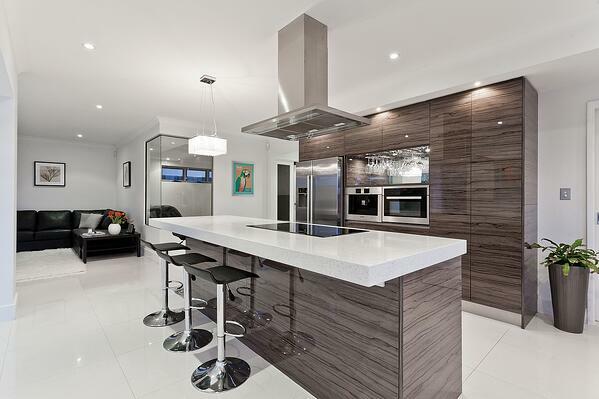 If you want your cabinets to scream sophistication, choose a solid polished or stained wood. If you want traditional, go with something timeless, like cherry, maple or oak, maybe with some beading or recessed glass. If retro is your style, melamine is still available. Next, decide what undergarments will be the most appropriate for your new outfit. This is where cabinet door selection and door mounting options come in. Cabinet frames can be completely concealed with full overlay doors, or they can peek through, providing your doors an attractive frame. How you mount your doors is like deciding whether to go strapless or not. The amount of skin you choose to reveal should complement the overall look and feel you are trying to achieve. The function of your cabinets should be contemplated like a stunning pair of shoes. They may look fantastic, but what good are they if you can’t walk in them? Cabinets that don’t hold your kitchen appliances, have useless spaces or are out of reach may be breathtaking to look at, but frustratingly useless. Think about how you use your cabinets now and what items you will put into your new ones. Do you want storage drawers instead of shelving for base cabinets? Are high shelves better left open for cookbooks and knick-knacks? If your kitchen is small, take advantage of every nook and cranny by selecting corner cabinetry, vertical storage racks and lazy-Susans. You’re outfit is almost complete. You’ve got your undergarments, your outerwear and you can walk comfortably. Time to put the icing on the cake. The hardware you choose for your cabinetry can be simple and understated or it can say “Check Me Out!” Whether you want to go flashy or fashionable, have fun with your hardware! It is the least expensive part of your kitchen wardrobe and can be changed easily when you tire of the look.